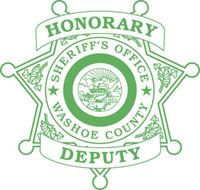 The Washoe County Honorary Deputy Sheriff's Association, Inc. is a non-profit IRS 501(c) (3) association composed of civic minded business and community leaders dedicated to supporting the goals and mission of the Washoe County Sheriff's Office. Monies generated by the initiation fees, annual dues, grants and donations received by the Association are used for special training and equipment designed to assist the Washoe County Sheriff's Office in promoting the welfare and safety of its law enforcement personnel and the communities served by that agency. The purpose of WCHDSA is "to initiate, sponsor, promote, and carry out plans, policies, activities, and development of the Washoe County Sheriff's Office specifically, and law enforcement generally. This benefits the public as it lessens the burdens of government. In addition, they assist in the erection and maintenance of buildings for law enforcement education and training, to aid with tuition and training expenses, equipment, and supplies." The Association meets quarterly in January, April, July and October. The meetings are either luncheon or early evening functions. Occasionally meetings are scheduled in conjunction with tours of the various sites and facilities operated by the Sheriff's Office. 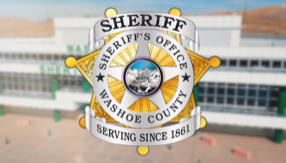 The tours provide an opportunity to learn first hand the capabilities of this Office and to see the improvements in safety, technology and effectiveness achieved through the combined efforts of the members and the dedicated staff at the Washoe County Sheriff's Office. The meetings include the opportunity once a year for members to participate in live-fire and simulator weapon training activities at the Regional Public Safety Training Facility. Other meetings are hosted by members of the Association who offer short demonstrations or explanation of the wide-range of operational programs maintained by the Sheriff's Office, including the latest in crime fighting concerns and techniques as well as the opportunity to tour our member's interesting facilities. For your convenience, we have provided a link below with information about Membership Categories including the Application process, and a link to the Application. If you have further questions, please call Pat Dolan at the number indicated above.